Sinister Forest is Stirring Up Serious Scares this Halloween Season! 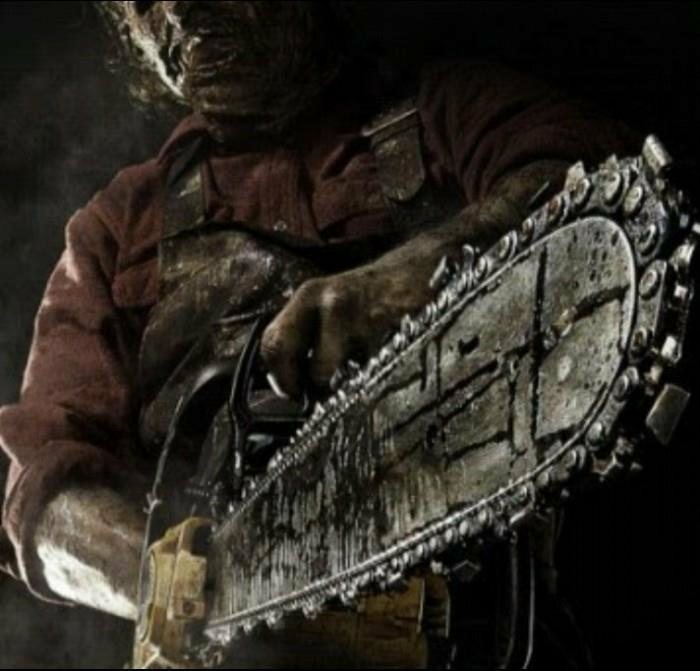 MinnesotaHauntedHouses.com recently sat down with Steve Bakken of Sinister Forest, to discuss what's new at the haunt for the 2018 Halloween Season! Located in Waseca, this haunted attraction is sure to get your blood flowing! Read below to find out what's in store for this year. What's new at Sinister Forest for 2018? Do you have any new rides, attractions, or special features that Haunt Seekers should know about? I think what makes us unique is the fact that it's not a "guided" tour or high tech haunted house. When customers enter the woods on the walking path, our objective is to make them truly feel lost, alone, and detached from civilization. This year we have made the trail longer, just under a mile. We also have added props, but we try to avoid the flashy animated ones. The props we use are ones you'd expect to see (or hope not to) in a haunted old woods. What are you most excited about for the 2018 Halloween Season? The weather. Last year was sweltering hot for our staff the first night, and then the rest of the season we had everything from lightening and pouring rain, to sub-freezing temps and an inch of snow. We have had an explosion of activity with our interactive marketing, and I'm looking forward to the weather allowing them all to come out. What differentiates Sinister Forest from other local haunts in Minnesota? I sort of alluded to that in the first question. Our goal is to make the customer truly feel like they're not at an organized event in a staged area with actors, but rather truly lost and detached from the outside world in a real haunted forest. How long has Sinister Forest been in business? Can you tell us a bit more about Sinister Forest's history? We were originally a haunted corn maze known as "Lost In The Dark" that raised money for a local organization. That ran for thirteen years. In 2017 our partnership ended and the City of Waseca approached us with the invitation to relocate to the edge of town at Maplewood woods. We toured the location and immediately saw the potential for more options and variety that a cornfield doesn't accommodate. We re-structured our organization as an independent non-profit called "Lost In The Dark" paying homage to the original event, and contracted with the city. We are now affiliated with Discover Waseca Tourism, and all the proceeds go into the local community. What's your favorite experience since opening Sinister Forest? The behind-the-scenes experience. Being volunteer based, everyone brings something different to the table. Everyone depends on each other. We'll often sit there late into the night after we close up, laughing and just hanging out. 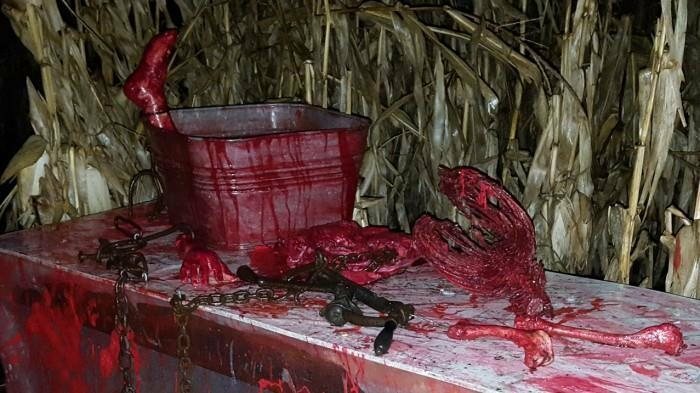 How long is a typical haunt experience at Sinister Forest from start to finish? The average time to get through is between 1/2 hour and 45 minutes. We have always had the tradition of allowing our customers to go through twice. There is also a food vendor and an old lodge with a fire in it, so, often times the customers will be on the grounds between 2-3 hours. On a scale from 1 to 10, how scary would you say Sinister Forest is? Why? I would rank it at a 7. There's no way to compete with the full contact venues where you sign a contract to allow them to have full contact with you. That is an experience all it's own. I feel that the psychological impact of the environment we create vs a traditional event definitely puts us above the average though. Does Sinister Forest's property have any real haunted history? Do you have a spooky encounter you'd like to share? According to local historians, in the 1800's a little girl became lost up there. Her parents found her tracks near a peat bog until they disappeared under the water, but her body was never found. Naturally, she's our showcase character. We have the full detailed story featured on our website. One nice thing about being the director is that I'm always too busy to notice anything creepy that might be happening around me, and I'd rather keep it that way. I was initially asked by a neighbor to come help scare at the newly formed corn maze event. From there, it just gets in one's blood I guess. Difficult to explain. From there I became more involved in planning and improving the event each year until I was eventually asked to step in when the current director retired. How has new technology (i.e. animatronics, special props, etc) helped you to enhance Sinister Forest? Again, we try to avoid too much technology that reminds customers where they really are. We have an audio system for ambiance that I remember starting out as a tape in a boom box with the mic of a headset taped to the speaker, running through a set of auction loudspeakers. Wireless technology, bluetooth and digital audio has really made life a lot easier. Can Sinister Forest accommodate large groups? How many people can experience Sinister Forest together as a group? Yes, we have numerous buses out each year. We recommend groups of ten or less, to get the full effect from our scare staff, but if they prefer to go as one large group, they certainly can. Does Sinister Forest offer any special deals, discounts, or coupons? Large groups receive a discounted rate based on size, when purchased in advance. Anything else you'd like to let us know about Sinister Forest? It's a unique experience that we hope will be like no other event around.